Come enjoy the best that the Rocky Mountains have to offer. 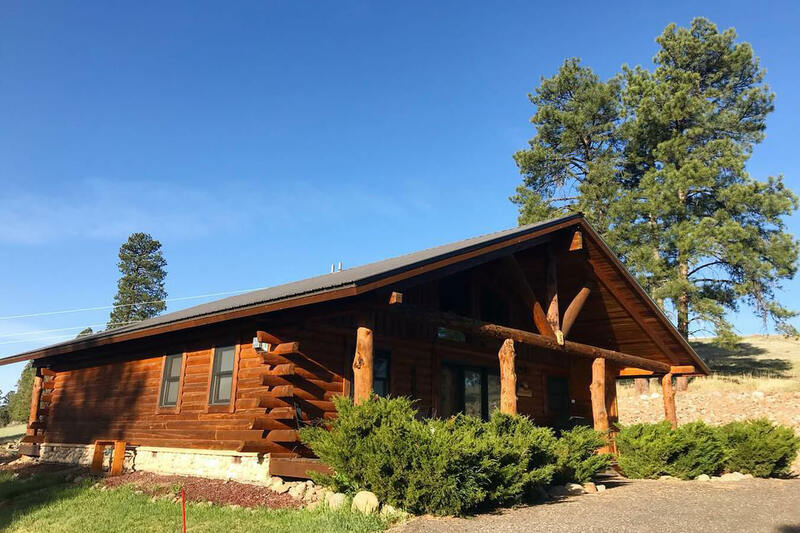 Rest and relax in one of our five luxury cabins, just over the hill from Pagosa Springs. Take in the picturesque views and fresh mountain air from your spacious porches. Each of our authentic log homes offers full kitchens, full-size washer/dryer, stacked stone gas fireplaces, slate and wood floors, and comfortable furnishings. We can also host small weddings, family reunions, and other events! Our cabin manager is a licensed wedding planner with experience planning all kinds of events. Please make our retreat in the pine trees your home base for your Rocky Mountain adventures.